American Sniper doesn't need defending. The film racked up six Academy Award nominations, and Thursday's announcement spurred on the wide release of the film in the United States this weekend to a record-breaking $90m opening. Unfortunately, it may also be the worst film that director Clint Eastwood has ever made. The film is based on the memoir of Navy SEAL Chris Kyle, who amassed 160 confirmed kills during four tours of duty in the Iraq War. It covers his entire military record, travelling between his exploits as leader of a direct squad on the ground in Iraq, to his fraught home life with concerned wife Taya and young kids, without necessarily having anything to say about either. 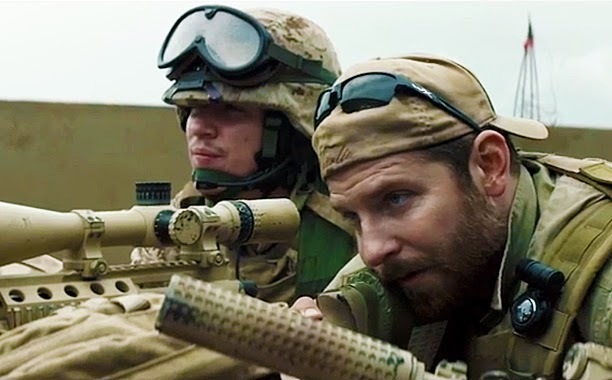 American Sniper is now showing at cinemas nationwide.